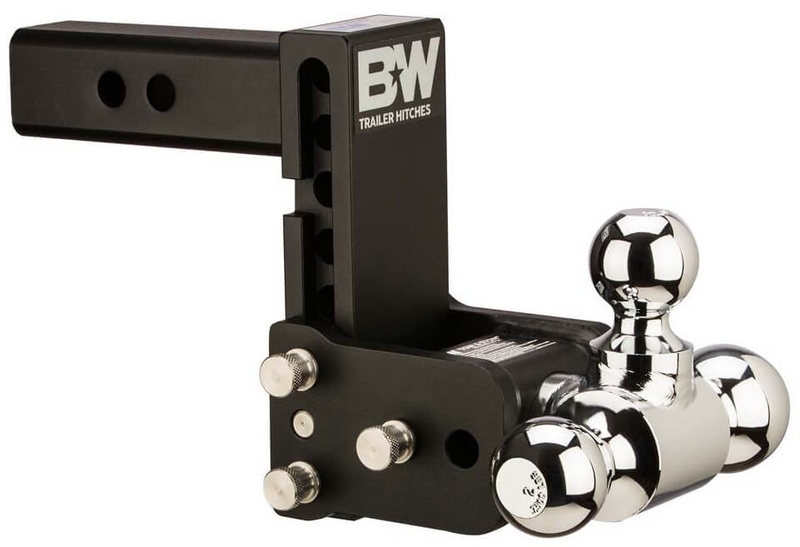 The B&W TS20049B Tow & Stow Tri-Ball Trailer Hitch Mount has three ball sizes, which eliminates the need for multiple ball mounts. It can be stowed underneath the vehicle when it is not being used and the height is adjustable in 1" increments. Hitch Ball Sizes: 1-7/8", 2" and 2-5/16"
B&W TS35020 Hitch Reciever Silencer Pad B&W TS35100B Tow & Stow Draw Bar Attachment - 2" B&W TS35010 Stainless Steel Pin & Clip B&W Hitches TS51234 Stainless Steel Receiver Hitch Lock - 2"